This week I'm thinking ahead to October. There's a new date added to my events page and I will be doing a set 50 percent longer than the longest set I've ever done ... and there is a Q&A session immediately after the poems ... and if nobody wants to ask questions then I have been told I can read a few more poems! Blimey! As a poet of the tennis court once said, “You cannot be serious!” ... but yes, this is not fake news! I haven't yet timed how long it takes to read every poem in Dressing Up aloud, but I suspect the majority of them will fit into that 45 minute slot. This is the first event I've been the only performer at, which will be a fantastic experience ... but I'm not going to be on stage alone. The event is titled Giles with Hazel, as most of you lovely readers know, Hazel is the voice on my computer that I sometimes use for performing poetry; on some occasions she even gets her own round of applause. I don't sleep well at night because I have nightmares about a sentient computer system lawyer coming to demand I pay Hazel appearance fees for the events I use her at! The Torbay Poetry Festival is organised by Patricia Oxley of Acumen magazine. I wrote an article called ‘Performing in Another Voice’ for Acumen in issue 89 (September 2017) about the work involved in using Hazel to read to an audience. Founded in 2001 as the culmination of William’s Year of the Artist residency in Torbay, the Festival has been carried on with Patricia as the Festival Organiser and William [Oxley] as the hon. treasurer! Patricia has edited Acumen Literary Journal for the previous 33 years, celebrating its 25th birthday in April 2010. William is a poet with many books of poetry and essays published. See www.acumen-poetry.co.uk for more information. The local blind club in Torquay may be coming to listen to my set; that would please me enormously! I did a set for Cardiff Institute for the Blind poetry club back in April, and I think it is important to show how, even if you can't see well, there are ways of performing text to a group that doesn't require super-human feats of memory. One thing I am painfully conscious of is that I do not have an audiobook version of my pamphlet. It can be hard work for a blind person to read contemporary poetry because few publishers sell electronic or audiobook versions of their books — it's rare that you will find an eBook format listed alongside the paperback offerings on a poetry publisher's website. I once make enquiries into the costs of paying a narrator for the purposes of recording an audiobook, but it was prohibitively expensive in comparison to the estimated sales figures. 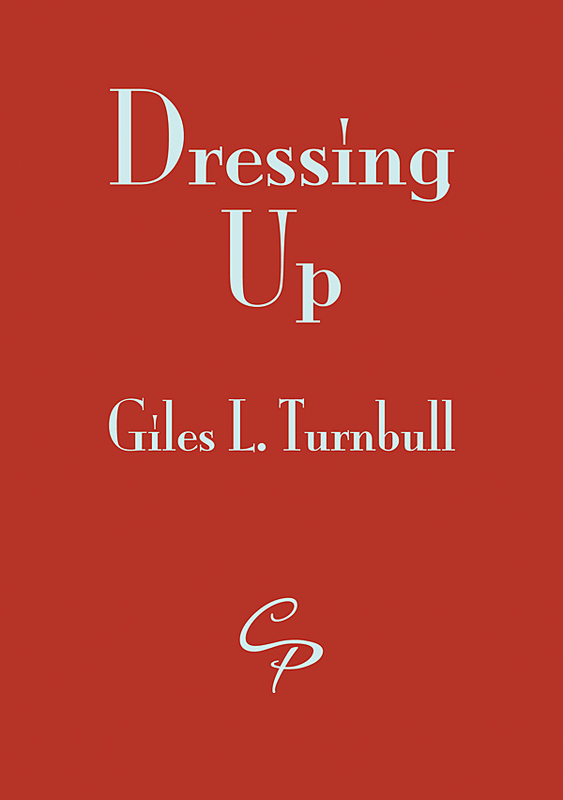 But, now I have all the poems in Dressing Up able to be performed by me and Hazel, I aim to have an audiobook version ready before October. Yesterday I ordered 10 USB thumb drives so I can take them with me and sell them at the same price as the print pamphlet, and I aim to keep a stock of 10 to take with me to any future poetry readings. A nice piece of synchronicity was that I was able to order the disks in red, so hopefully they will be a similar shade of red to my printed pamphlet cover, which is also red! This is great news! Giles and Hazel rule! What a great idea to do the audio on thumb drives. And red! Super! You seem to be getting a little following, and a number of venues in which to read. I’m so pleased for the recognition that’s coming your way!